A computer cleaning schedule or a timetable which is consists of a list of times or days at which possible cleaning tasks or actions for PC, Keyboard, Monitor Screen, and Mouse are intended to take place. The process of creating a schedule, deciding how to order the PC cleaning tasks and how to commit resources to the variety of possible tasks is called scheduling. 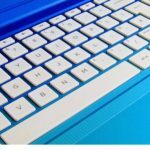 How Often Shall I Clean my Computer and Keyboard? To exercise the best cleaning practices, you may follow the following cleaning schedule. Give a surface cleaning to your computer, keyboard, monitor, and mouse. This shall not take more than 5 to 8 munites and shall not cost you anything apart from time. This will give your computer, especially the monitor screen and the keyboard a fresh look and feel. On weekly basis put a little bit more efforts towards your computer cleaning. Repeat what you usually in the daily cleaning tasks as described above plus apply an antibacterial solution to keyboard and your mouse to kill the germs and bacteria reside on the surface of your PC. Also, clean your monitor screen with computer cleaning wipes. This whole process will not take you more than 10 to 15 munites and you will love the state of cleanliness of your PC. Every month dig a little bit deeper and give your computer a surface and deep clean treatment. This procedure shall be detailed enough to take the dirt, dust, and debris out of your PC including keyboard, monitor screen, and mouse. Apply the antibacterial solution thoroughly on the surface of your computer. To keep yourself safe from germs, bacteria, and diseases. This cleaning procedure will take you from 20 to 30 munites depending on the cleaning kit and cleaning products that you are using. 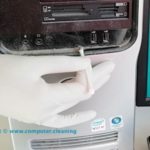 You can repeat the above cleaning tasks that you do on the monthly basis or you can hire a professional cleaner to give your computer, keyboard, monitor screen, and mouse a deep clean. 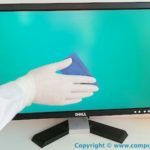 As a best practice, you should clean your computer, keyboard, monitor screen, and mouse regularly to safeguard yourself against bacteria and disease. Perform surface cleaning every single day and deep cleaning once in a week if possible. Keep your PC away from food and drinks. 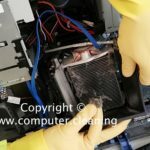 Hire a professional cleaning service if you are not sure how to clean your PC.